On January 28th and 29th, 2019, the kick-off meeting of the project “European Democracy Network” (EDN) took place at the Centre Marc Bloch in Berlin, bringing together the representatives of our 7 partner organisations from Czech Republic, Denmark, France, Hungary, Poland and Germany. 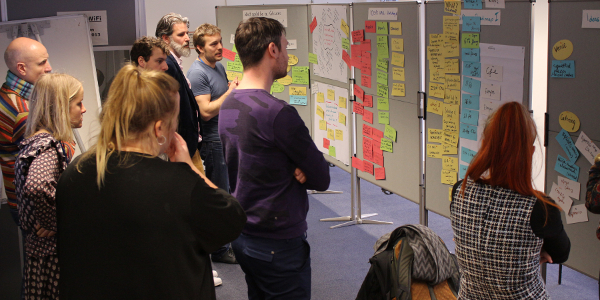 During two days, we co-designed the project objectives, activities and timeline. In the next weeks, we will select 16 activists, two from the partner countries and another four persons from outside the formal partnership, e.g. Turkey, Italy, Austria or Romania. The selected participants will take part in a yearly empowerment program, to support them in standing against the erosion of democracy and fundamental rights, against the rise of nationalism and white supremacism and the shrinking of civic spaces. We are also going to organize a series of international "Citizens’ Dialogues" in the participating countries to give the opportunity for local people to meet and exchange with a group of international activists, to get to know their countries' specific context, to experience the European dimension of their own engagement and battle as well as to exchange perspectives, opinions and visions on European topics. Obywatele RP practices non-violent civil disobedience to oppose the actions of the Polish government led by the nationalistic and xenophobic Law and Justice (PiS) party and to defend democracy, freedom of assembly, as well as equal civil and minority rights. The informal civic movement was born out of a large popular movement called the Committee for the Defense of Democracy which started after the first attempt of the government to block the functioning of the Constitutional Court in 2015 and to take control of the Polish judiciary. Since March 2016, Obywatele RP organises counter-monthly protests in front of the Presidential Palace. NESEHNUTI is an independent social and ecological movement created 20 years ago in Brno, Czech Republic. The organisation designs educational bottom-up programmes, awareness campaigns and political actions in order to encourage public participation and empower local activists and initiatives aiming at protecting and respecting human rights, cultural diversity, women’s and LGBTQI rights, animal rights and the environment. This non-hierarchical organization is collectively managed by their 25 employees and volunteer members. Since the country has elected the populist and anti-immigration Andrej Babiš, the second richest man in the Czech republic, also called the “Czech Trump”, NGOs and activists have been ostracized, accused of being “Soros’ children”, “Eco-terrorists” and “Refugees Welcome people”. To be able to have an impact, NESEHNUTI mostly cooperates with local communities and libraries in the cities where the Czech Pirate opposition Party is very popular like Brno and Prag. Created in 1994, the Hungarian Civil Liberties Union (Tasz) is a human rights watchdog’s organisation and one of the oldest NGOs in Hungary. The organization’s activities used to focus on advocacy and consulting before Viktor Orbán national conservative Fidesz came into office in 2010. Currently, the organization mostly pursues strategic litigation on the national and European level. Its lawyers provide free legal aid assistance for activists and citizens to defend their basic rights “against the undue interference by those in position of public power”. Tasz activities mostly focus on freedom of speech, on equality for Roma and other minorities in the country as well as on data protection and privacy. In Hungary, all the media outlets are basically in the hands of pro-government owners. To tackle the news spread by this right-wing media conglomerate, the NGO also drives awareness raising campaigns on propaganda all over the country in order to educate the public to be more critical when consuming media. VoxPublic is a French organisation that empowers civil society actors to challenge public authorities in order to reduce social injustices, discriminations and to fight corruption. To increase the mobilization around these issues, VoxPublic supports social activists in their web and public communication, to lead lobbying actions toward decision-makers. Nyt European is an NGO based in Denmark that works on empowering civil society and lobbying for political changes at the European level. Their awareness raising campaigns, educational projects and lobbying actions focus on sustainable development goals, democracy as well as various economic, social and environmental issues. The team is composed of 7 employees, a board of 15 people and volunteers planning the common actions. Founded in 1996, MitOst e.V is a German association based in Berlin and an international network of around 1,400 members in 45 countries and 10 alumni groups. Their cooperation programmes and international projects mostly focus on social cohesion, sustainable urban and rural development, active citizenship and cultural exchanges all over the world (Tandem). The annual International MitOst Festival brings together their network of change-makers throughout Europe and abroad. CFEU is a co-founder of the EDN project. Founded in 2010 by the Swiss foundation Charles Léopold Meyer pour le Progrès de l’homme, CFEU is a community of more than 450 civil society organisations aiming at creating a more participatory and democratic Europe by encouraging cooperation and exchange between active citizens throughout the continent. 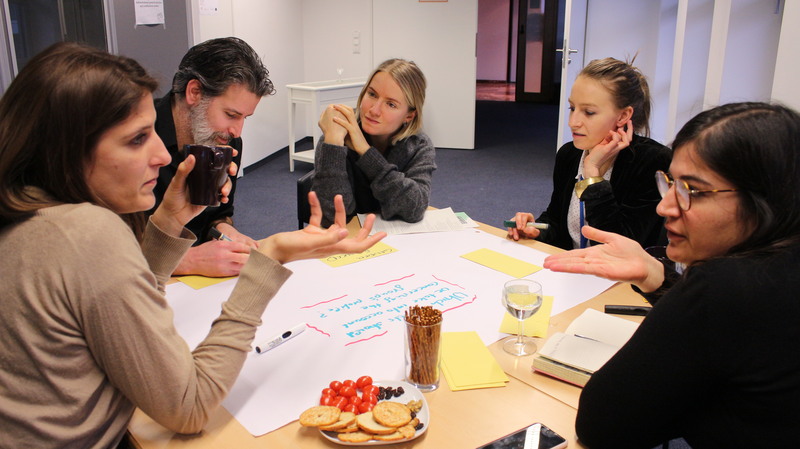 CFEU is an online platform that highlights ideas and projects of these civil society actors, that shares good practices and connects people to create synergies and increase their impact.